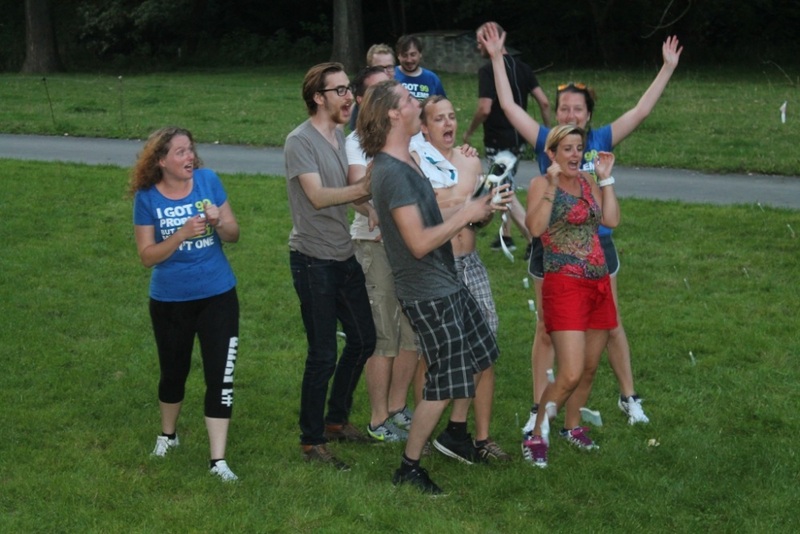 Combell Team building 2015: not for wimps! A good atmosphere between colleagues is indispensable to the smooth running of any company. 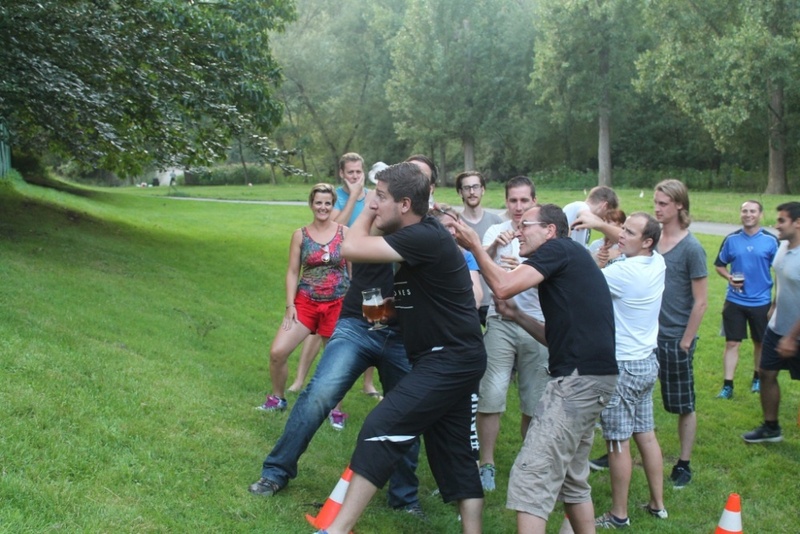 This is why, every year, Combell organises a team building event – an event that everyone looks forward to. 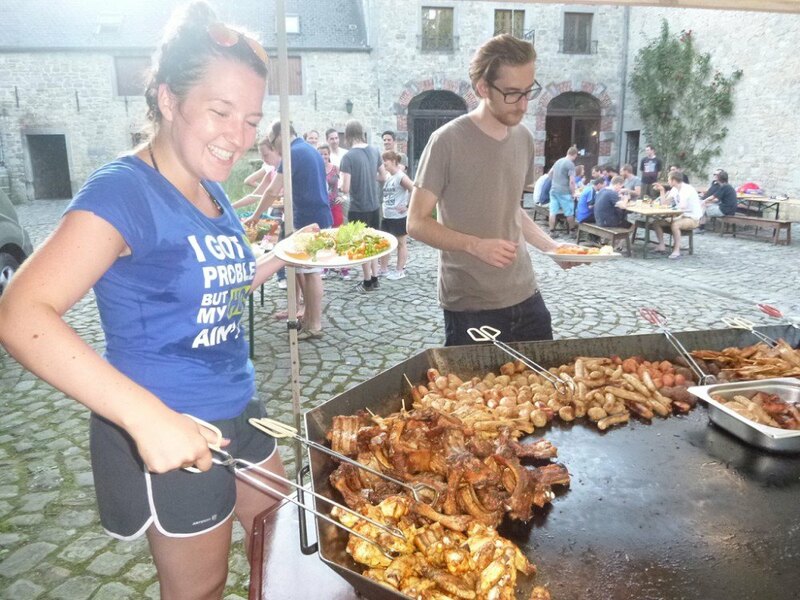 This year, the teams met in the Ardennes, and although the events were no picnic, everyone had lots of fun! 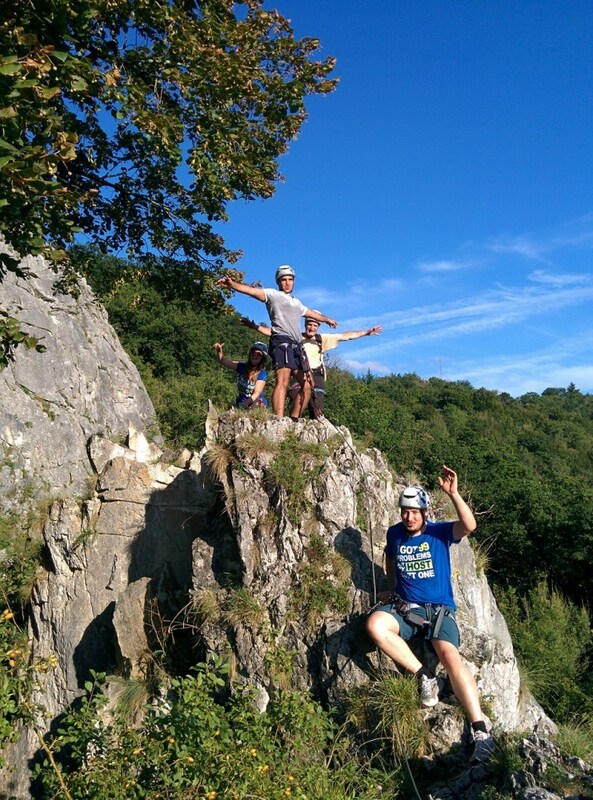 On 29 August, colleagues from Combell and Intelligent Group’s sister companies set off, under a blazing sun, for Pont-à-Lesse, near Dinant, to participate in the annual team building event. A wonderful landscape, nice weather, fantastic colleagues, surprising challenges... What more could one ask for to spend a great sunny Saturday? Once everyone had arrived in Dinant, 5 teams were formed. On that day, their goal was to earn as many points as possible during the 5 different physical events. 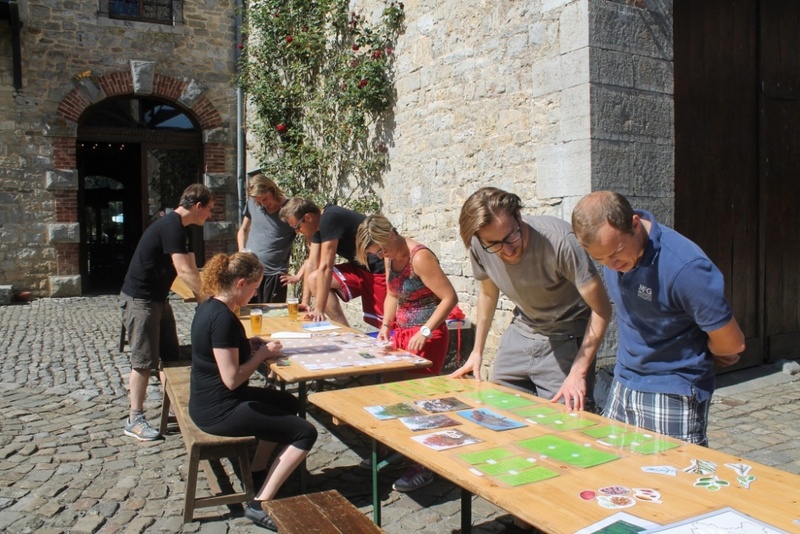 The less sporty colleagues were also involved: they had to solve riddles and puzzles, whose pieces could be collected by their more audacious colleagues, in order to earn extra points. That was a pretty good idea, because it made it possible for every team member to participate. During the different events, all participants had to use their arm and leg muscles, but also their brains. 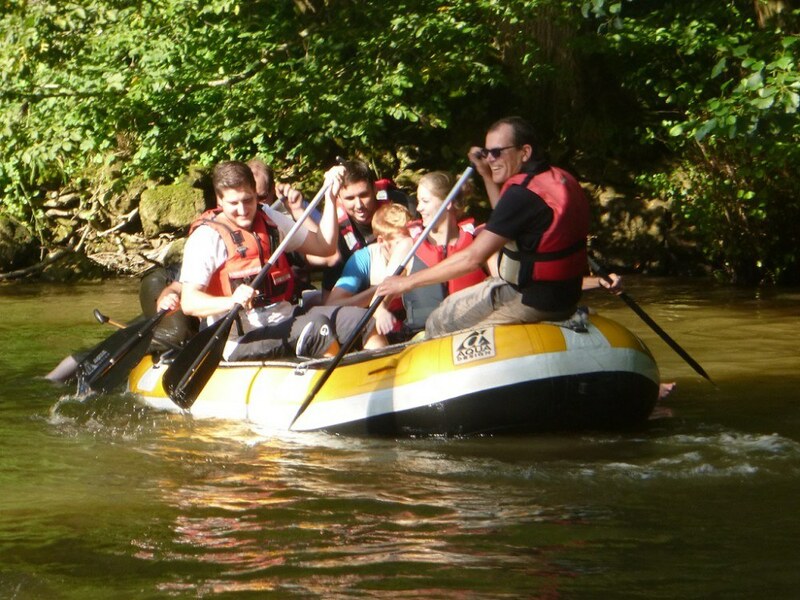 During the rafting event on the Lesse, for instance, each team had to manoeuvre as quickly as possible to reach 4 cards with words written on them. Those who managed to find the link between the words earned extra points. The Lesse may not be the Colorado River, where rafting is a real challenge, but the small waterfall at the end of the trip caused great hilarity. And the refreshing water splashes were more than welcome on this hot summer day! The rifle shooting event seemed far less spectacular, but it was actually quite difficult. A sharp eye and a steady hand were absolute requirements to hit the bull’s eye of the small paper targets that were quite far away. As for the other team members, they could focus their attention on a brain-teaser. And those who managed to find the solution received extra bullets for their team, which increased their chances of winning. The rock climbing event was a big challenge: contestants had to climb a 45-meter high rock wall via iron cables and ladders. Even the most adventurous of Combellians needed a moment to recover. But the feeling that you get when you have done something that seemed practically impossible at first and that helped your team, is a really wonderful reward! The low ropes course (1 meter above the ground) seemed pretty easy, especially after the previous event. And yet, it turned out that it was extremely difficult to reach the other side via some ropes strung between four trees. The course required good balance and plenty of stamina. 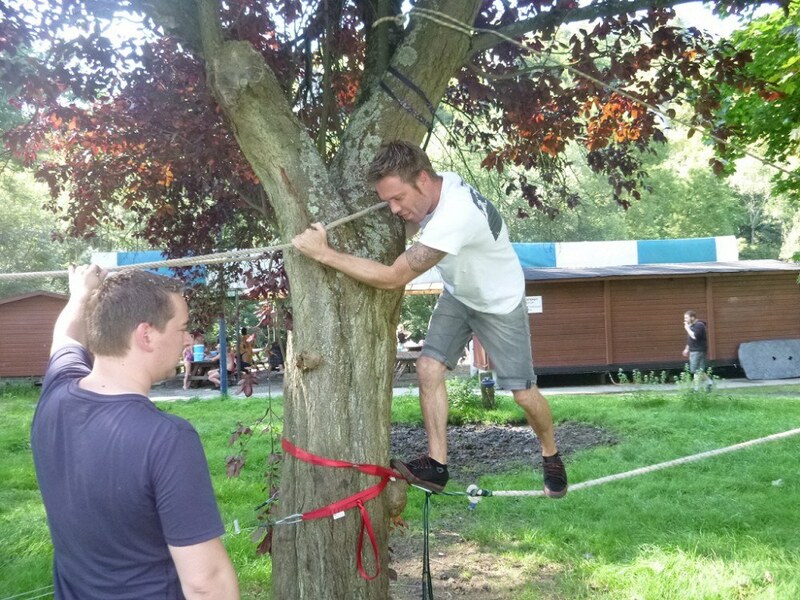 Especially since it included some obstacles on the ropes that participants had to climb without losing their balance. The fifth challenge was a much quitter one, which was a true relief after so many efforts: during the Ardennes challenge, contestants had to recognize animal tracks and tree species, in order to return home with local beers. The time had indeed come to enjoy a drink on the beautiful courtyard of the domain, take a breather... and gather enough energy for the final game! What is more delightful on a warm day than a game with water? Lots of water! For the final event, participants had to craft a water cannon themselves using a plastic bottle, a cork, water and a bicycle pump. The purpose was to increase the pressure in the bottle with the pump, and then shoot. And, of course, attempt to strike the target! The determination to win obviously lead to many funny yet chaotic situations. After every missed shot, the bottle had to be reused – but where did it land after it flew off? Moreover, all the participants were running like crazy and many took a refreshing shower when hit by the water projectiles! In the end, it was team 2 that managed to strike the target with its water cannon. The winners won a bottle of champagne, which, as tradition dictates in major championships, was sprayed over the crowd. The other teams took this as a sign to start a final water fight with the remaining water. Needless to say, after all these efforts, the team members were starving! Fortunately, a barbecue had been arranged for them on the terrace of the farm of Pont-à-Lesse, with all sorts of meat. After the crêpes that were served up for dessert, everyone enjoyed the great atmosphere in this amazing setting, while the surrounding noise was fading out and the night was slowly falling. Team building? 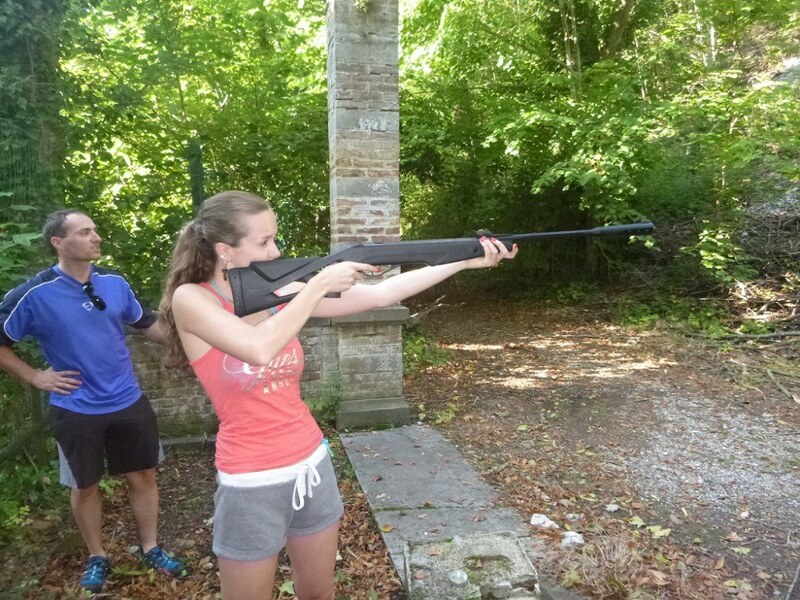 It is definitely not for wimps at Combell, but it is such a wonderful experience! Check out the pictures taken as a souvenir of this very special day!